“Cheryl Cox, Caroline Doby and Kelly Holton took a break from a study session conducted dorm style” as noted in the Oak Leaves. 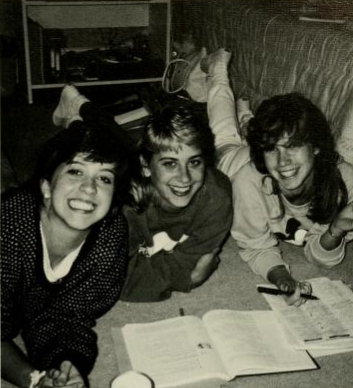 These members from the class of 1992 are pictured enjoying heir freshman year in the residence halls. This week marks the first full week of classes at Meredith. The students are busy getting adjusted to their packed schedules and getting into the swing of their fall semester.